For Love & Lemons: Wild Horses Can't Be Tamed! You will love these new arrivals by For Love & Lemons so much, wild horses won't be able to drag you away! 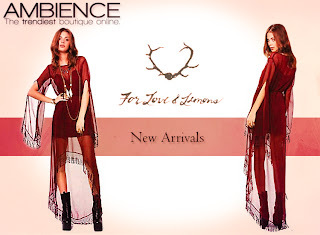 We are in love with the Wild Horses maxi, as it is boho chic, with an untamed appeal that will drive you WILD!